June 19, 2017—Dropbike, Canada’s first smart bike sharing company that has no physical docks, is launching their first pilot with 100 bikes on the University of Toronto — St. George campus. 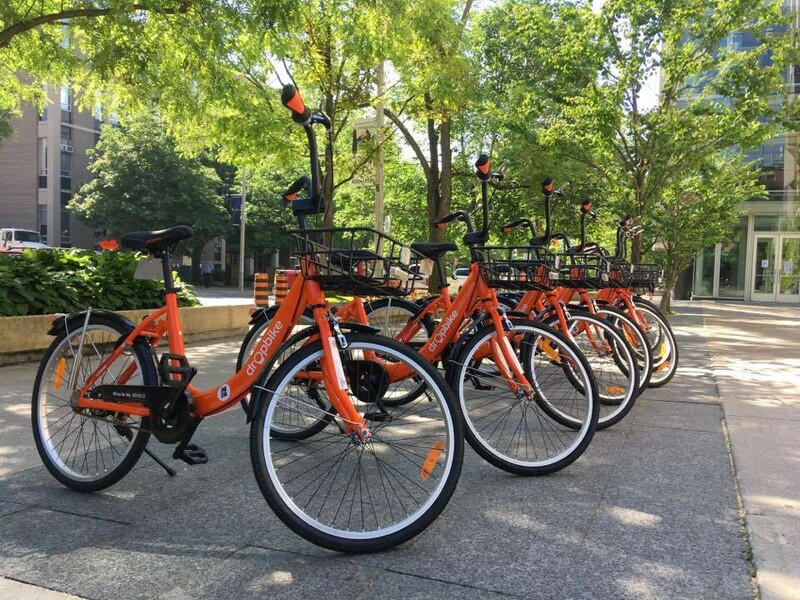 The project brings dockless, smart bike sharing to U of T in a partnership between the startup and the University of Toronto Students’ Union (UTSU). A few dozen bikes were made available as of Thursday, June 15, with more bikes being put on the campus throughout the week. As of June 19, about 70 bikes are made available for use, with more being added as demand ramps up. To start riding, users can download the app at dropbike.ca, register, and, for a promotional period, take advantage of 10 free rides. The service is free of physical docks, bringing an innovative solution to the last-mile problem for U of T students who want to get into, around and out of campus. Instead of having to go between set docks, riders can park dropbikes at any bike post or bike rack. To start their ride, users use their app to scan the code on a dropbike, which gives them the password of the onboard lock. To end their ride, they lock the bike close to a post and take a photo. Dropbike costs $1 an hour. Drop is smart micro-mobility- the last gap in mobility services network.